Honeywell International Inc. (NYSE:HON), Lockheed Martin Corporation (NYSE:LMT), Northrop Grumman Corporation (NYSE:NOC) are among the top three industrial goods stocks in Cramer’s list. He has mentioned each of these stocks at least three times in the past thirty days. Honeywell International Inc. (NYSE:HON) is one of the top stock picks of Jim Cramer in industrial goods and he was bullish on the stock in his Mad Money show. Honeywell is one of the most favorite companies of Jim Cramer in terms of market performance and he is a fan of CEO David Cote. The shares of Honeywell International Inc. (NYSE:HON) are trading at $98.93 with current P/E ratio of 18.69 and the company has current market cap of $77.44 billion. Lockheed Martin Corporation (NYSE:LMT) is another company which is in Cramer’s list of best industrial goods stocks of the market. While talking about Northrop Grumman Corporation (NYSE:NOC), Cramer said, “I love Northrop. 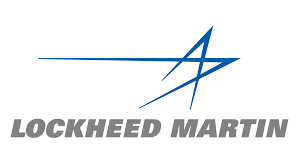 I also like Lockheed Martin (LMT).” He listed Lockheed Martin Corporation (NYSE:LMT) in the “Am I diversified” section of his Mad Money show saying that it will help to add a defense contractor like Lockheed in the portfolio. He also mentioned it in the lighting round of his show and he was bullish on the stock. Northrop Grumman Corporation (NYSE:NOC) is another stock in the list of industrial goods stocks and he said that he loves Northrop. While talking about both Northrop Grumman Corporation (NYSE:NOC) and Lockheed Martin, Cramer said that nothing could go wrong with these defense contractors. The shares of Northrop Grumman Corporation (NYSE:NOC) are trading at $152.74 with current P/E ratio of 16.26. The net market cap of this defense contractor is $30.85 billion and it provides dividend yield of 1.83%. The shares of Northrop have skyrocketed 31 percent in the last one year.